It’s been long-awaited and missed so many times in recent weeks but the Dow Jones index closed above 20,000 for the first time Wednesday as world markets enjoyed a largely positive session. 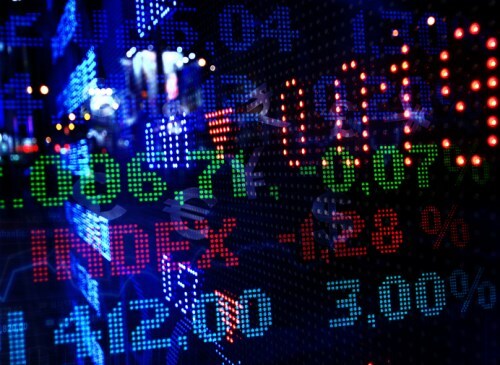 For the main TSX index there were gains for seven of the ten sectors, led by industrials and energy; consumer staples, materials and telecoms closed lower. The overall index gained. Wall Street’s two other main indexes, the S&P500 and Nasdaq, joined the Dow with strong gains. European markets closed higher on regional earnings with the German DAX gaining 1.8 per cent, helped by a 5 per cent rise for Deutsche Bank. Asian markets were also largely positive. Gold prices were down almost 1 per cent as investors chose equities; oil prices were also lower as stockpiles weighed. Sources close to the IPO of Toronto-based health food restaurant firm Freshii Inc. say it raised $125.4 million. The Globe and Mail reports that the offering initially aimed to raise $109 million at up to $10 per share but the sale of 10.9 million subordinate voting shares was at $11.50 per share. The IPO was Canada’s largest since September 2016 when Aritzia raised $460 million. Hunter Harrison has the backing of activist investor Paul Hilal’s Mantle Ridge fund in his bid to become CEO of CSX. Harrison wants to take up the role upon leaving Canadian Pacific and Hilal’s backing is key as Mantle Ridge is to become a major CSX investor with a $1 billion stake according to Reuters. There were 402,000 job vacancies in the third quarter of 2016, Statistics Canada reported Wednesday. The number of vacancies and the 2.5 per cent vacancy rate was little changed from a year earlier but there was a sharp contrast between the provinces that gained and a large drop for Alberta. The largest gain was for Ontario with a 12.5 per cent rise, followed by 8.1 per cent in BC. Alberta saw vacancies slump 28.8 per cent with retail leading the decline.